There is a lot to say about Diamondback’s Release series. If I only had one word to use to describe them, it would be “capable”. Seriously. These bikes are ready to be put to use just about anywhere. Let’s talk a bit about the technology before we get into it anymore on this review. I think it is fit to talk about the suspension layout first as this is truly what makes the bike. The Diamondback Release bikes make use of Diamondback’s Level Link suspension platform. This is a layout that is very similar to Santa Cruze’s VPP layout as the rocker links counter-rotate. The forces created through the drivetrain are essentially separated from regular suspension forces. As a result, the suspension remains active under all impacts while not affecting pedaling. Thanks to this design, Diamondback chose that 130mm of travel would be enough for this frame. All of the Diamondback Release bikes have 130mm of rear travel and are outfitted with a 150mm fork. 130mm may not seem like much, but after descending with a Release, you’ll find yourself thinking there is more. The 130mm is nice for climbing and a blast to jump with as it doesn’t eat away the lip of a jump like some longer travel bikes seem to. The 150mm fork upfront is a nice touch as it absorbs most of what you will encounter on the trails. 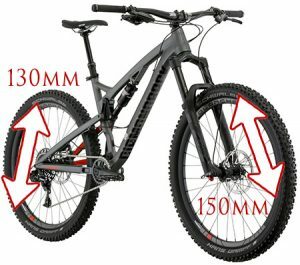 Note* The higher end models represented in this Diamondback Release review are outfitted with a better suspension that will provide you with more adjustment to dial in your ride. Lower models still work great, but experienced riders should opt for the better suspension. Where should a Diamondback Release be ridden? The simple answer here is anywhere and everywhere. You can take it deep into the mountains and ride up and down whatever you like until your heart is content. This is a true mountain bike, it will stand up to most trails. It is truly at home riding varying all mountain trails. However, it will not stray away from a few days in the bike park either. You can happily pedal it along peaceful trails, and know that as soon as you want to ride something gnarly, it will be ready to tackle the challenge. The Release series bikes all weigh around 30lbs. Some just over and others just under. This is not light for a trail bike by any means, however it is also not too heavy. It is treading carefully on that fine line between durable capability, and easy pedaling. If it was heavier, I would not like this bike as much. Since it is so durable though, I can’t complain about the weight. To be honest, on the trails it pedaled well enough that the 30 pounds didn’t feel like it was slowing me down either. There are a few common things I would like to list here so that you guys know exactly what the Release bikes are about. All bikes come with a dropper post which is awesome! 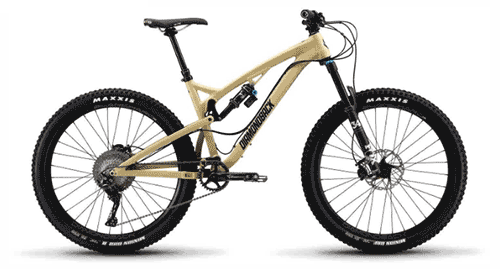 The Diamondback Release 2 is the entry-level version of the Release series. 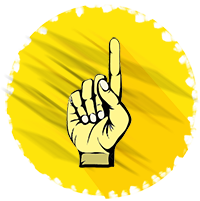 Here you will find an amazing price, with beginner to intermediate components. Frame: The Release 2 frame is constructed out of hydroformed aluminum tubing. Fork: Fox Rhythm 34 with 150mm travel. This is an awesome fork considering the low overall price of this bike! It will handle most enduro and trail needs with ease. Those who are really picky with dialing in their suspension might want to opt for a higher level Release bike so they can get more adjustment. Shock: Fox Float DPS EVOL LV with 200 mm travel. It is a fitting shock for the price range of this bike. It has 3 positions of compression (open, semi-open, and fully open) as well as rebound adjustment. This shock will work well if you ride trails that aren’t too intense. However, if you ride more aggressive terrain, this shock might not be enough for you. Drivetrain: The drivetrain on the Release 2 is a 1×11 system taken care of by Shimano SLX groupset and Race Face Aeffect crankset. Although this stuff isn’t considered high end, it is well proven and great quality when you look at the cost compared to higher end stuff. I feel this is really well suited for this build. Wheels: The wheels on this bike are nothing special, just Diamondback’s house-branded set called Blanchard 28R. They are a little on the heavier side but again, this is what I would expect on this model. 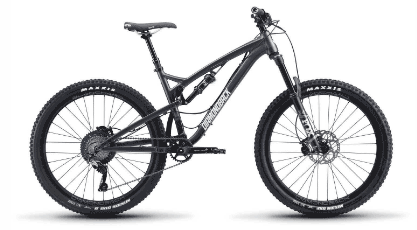 Diamondback claims the Release 2 to weigh 31.3 pounds which is a little heavy for a trail bike. However, it would be easy to get the weight down with another set of wheels or swapping a few other components if you really wanted to. Who is the Release 2 for? I came into this expecting to say that the Release 2 is for entry-level riders but I don’t think that is accurate. This bike is for people on a budget. You can be an experienced rider and still have a blast on this bike and not worry about its performance. If you can afford to, it is always nice to opt for a higher end model, but if you are tight for funds, the Release 2 really is a lot of bang for your buck! This bike is pretty well set up for what it is intended. 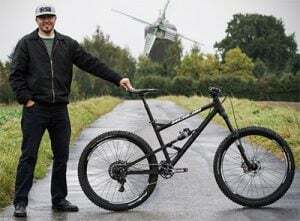 However, if I were to ride the Release 2 as my everyday trail bike, I would upgrade the rear shock to a piggy back shock (I love to ride gnarly trails), and possibly put lighter wheels on it. Most riders looking at this bike will likely be fine to ride it how it is though. Overall it’s an awesome build. The Release 3 is Diamondback’s higher end aluminum framed Release bike. It has been spec’d in a way that anyone would be happy with it, and at a great price! Frame: The Release 3 is constructed out of hydro formed aluminum tubing and is identical to the Release 2 frame apart from the paint job. Fork: Fox 34 Performance Float – This is an awesome fork for the build. It features 3 positions of compression that are easy to adjust as well as external rebound adjustment. It will have you riding smoothly on even the roughest of trail segments. No complaints here. 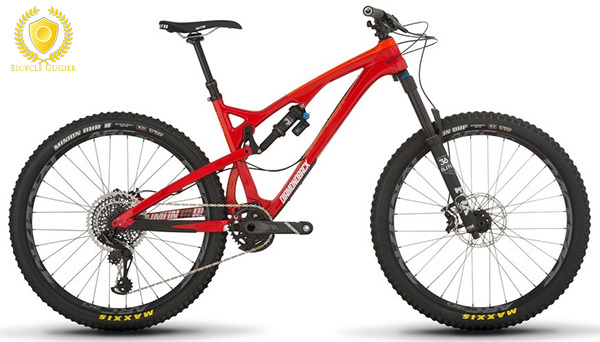 Shock: Fox Performance Float DPX2 is exactly what should be on this bike. It has external rebound and 3 positions of compression just like the fork. The large reservoir on the shock provides the performance that riders seek from a bike like this. Drivetrain: The drivetrain on the Release 3 is based off of Shimano XT system that works excellently with the Race Face Turbine direct mount crankset. This is a smooth shifting 1×11 speed set that is perfect for all mountain conditions. Wheels: The wheels again are a little heavy. These are Diamondback’s in house wheels called Blanchard 28R. They work well and the wide rims are strong and durable. However, they do take away from the quick acceleration peddling that some carbon riders may be used to. The Diamondback Release 3 weight in 31 pounds. This is practically the same as the Release 2. It is a decent weight for what the bike means to achieve. The weight does help it feel planted on descents but it’s not so much that it is a pain to climb with. Who is the Release 3 for? 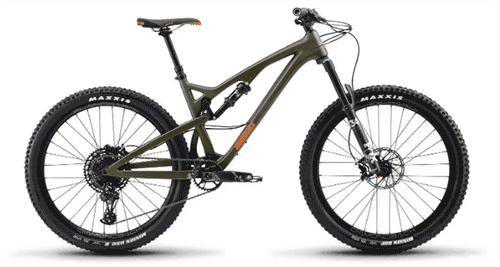 The Diamondback Release 3 is a bike for people who want a serious machine at a price that is much more competitive than a lot of other brands out there. Sure the Release 3 may not be the fanciest of bikes, but it sure does provide a fun ride. For a lot of people, that is all that matters. 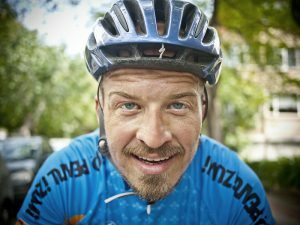 It is hard to mention upgrading a bike that has been priced this well and that is great at being exactly what it is designed for. However, if I owned the bike, my first upgrade would be to lighter weight wheels. The Diamondback Release 4C in this review is the entry level Carbon Release bike. It is based off ofthe original, extremely successful, aluminum versions of the release series. This bike is an affordable carbon machine that will leave you smiling. Frame: The Release 4C makes use of a fully Monocoque carbon frame. Fork: Fox 34 Performance Float- This fork is ready to take on what ever you throw at it. It is Fox’s entry level 34 fork but do not let those words fool you. The 3 position compression lever and rebound adjustments will have you easily setting up the bike for how you want it to perform. It may not offer as much adjustment as higher end models, but considering the price of the bike, this is a great fork to have. Shock: Fox Float DPS EVOL LV – This is a good match to the fork. It features the same 3 position lever as well as rebound adjustment. I prefer duel canister shocks as I find they perform a bit better, but this is still a capable shock. Drivetrain: Shifting is taken care of by SRAMs 1×11 speed NX drivetrain. This is a solidly built system that shifts quite well. The crankset is the SRAM Descendant 6K cranks. Wheels: Again the same Diamondback wheels are used for this Release model. Don’t get me wrong, they are great wheels. Just a little heavy if you want to be picky. Despite the frame being made of carbon fiber, the Release 4C weighs 31 pounds which is the same as the Release 3.
Who is the Release 4C for? The Release 4C by Diamondback is for riders who want a quality carbon frame, with a decent build kit, for an affordable price. This bike isn’t breaking any records, but like the others, it is pure fun. I would like to have seen a piggy back shock on this bike. Perhaps the Fox float DPX2. However, it is a good set up. Again lighter wheels would be nice. The Release 5C is the top model of Diamondback’s Release series. 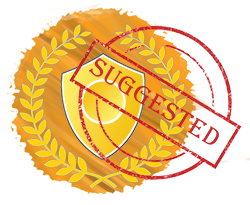 It features all of what riders want. Nothing more, and nothing less. There are some better components out there, but they are not warranted. The Release 5C ticks all of my boxes. Frame: The Release 5C makes use of the same fully Carbon frame as the 4C, only with a different paintjob. Fork: Fox 36 Performance Elite – Choosing to put a Fox 36 on this bike is Diamondback saying “go ahead, put this bike to work”. The 36 is a true all mountain fork that can tackle any terrain. The forks high speed and low speed rebound can be tuned, as well as its compression via a 3 position damper. Shock: Fox Performance Elite Float DPX2 – This is a great shock to help truly release the potential of the frame. It features the 3 position lever and rebound adjustment, but also 10 clicks of open mode adjustment to really fine tune the shocks feel. Drivetrain: The drivetrain is SRAM’s impressive 1×12 X01 Eagle drivetrain. This groupset will give you enough of a gear range for you to tackle any situation head on. All in a clean single ring package. The crankset chosen is the Truvative Descendent Carbon set which is a nice stiff carbon crank. Wheels: Race Face Arc30 rims are a solid upgrade from the wheels on the rest of the Release bikes. Yes, they are still aluminum. However, they are light and hold up to a lot of abuse. No complaints here on this Diamondback Release review. Taking into consideration the extra gear and heavier duty suspension, the Release 5C comes in lightest at about 29 pounds. This feels like a good weight for the bike. It is similar to the others, but the lighter rims make a small but good improvement to acceleration. Who is the Release 5C for? The Release 5C is for riders who want it all, without the cost. There are no parts on this bike that I would get rid of or change. Sure the suspension could be Kashima coated, but the price difference does not seem worth it to me. I think Diamondback was spot on with this build. Anyone could love this bike. This bike is great how it is. Sure you could get fancy and put carbon parts all over it like handlebars, and wheels but it’s not needed. This bike shreds, no need for change. The Diamondback Release bikes are truly great machines. I love a lot of different bikes for different reasons, but it’s the overall friendliness of this bike that makes me tempted to keep this one for the long term. Anybody can ride it, but when you push it, it shines even brighter. There is a model that suits every rider as well. So no matter your skill level, these bikes may be worth a look for you.